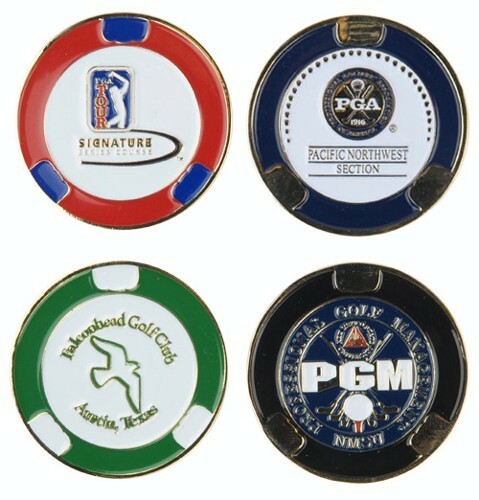 Solid metal oversized ball marker with the look of your own personalized poker chip. Rich enamel color fill and polished highlights. Front and back imprints ideal for co-sponsorships or dual branding. Polished gold or silver. Minimum order of 250.